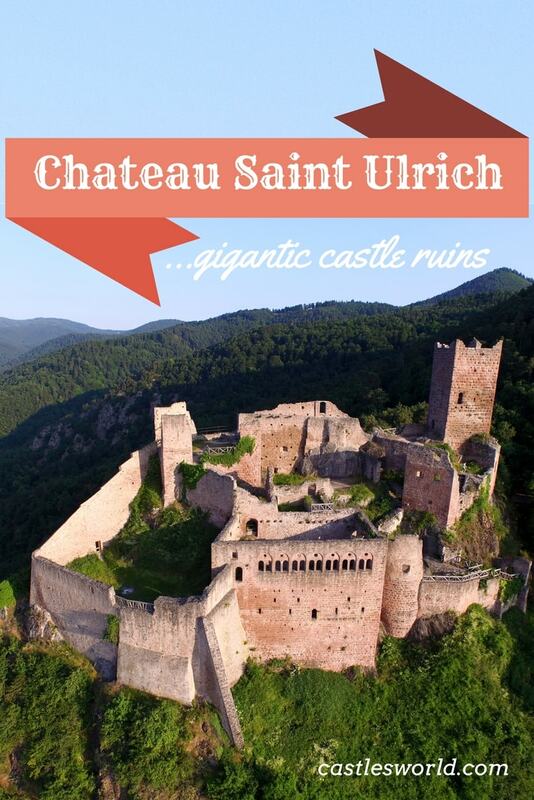 Saint-Ulrich Castle is a fascinating castle complex in Upper Alsace. It is one of the three ruined castles that rise above the village of Ribeauville (the other two are the castles of Girsberg and Haut-Ribeaupierre). The present name of the castle comes from a chapel dedicated to Saint Ulrich of Augsburg which was erected in the 15th century. Before that time, the castle was known as Rappolstein Castle (or Ribeaupierre Castle in the French style) as it was the principal residence of the powerful lords of Ribeaupierre from the 11th to the 16th centuries. 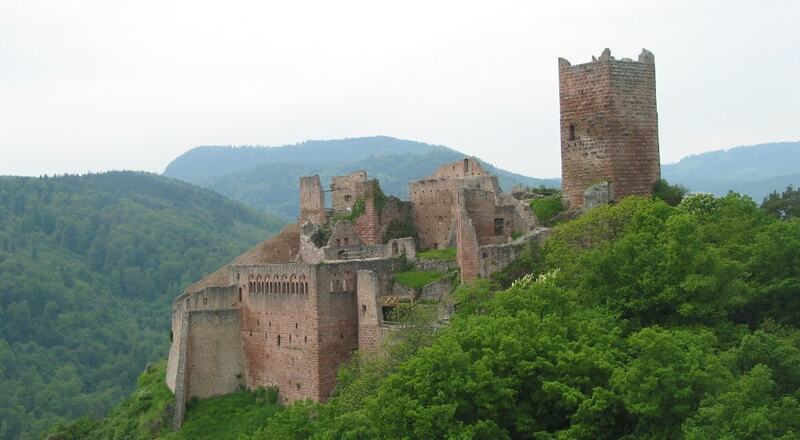 At the time it was built, the castle was a fine example of military architecture in Alsace. It included a keep and a residence with a chimney from the 12th century and it was mainly used to control the strategic road linking the Alsatian Plain to the valley of Liepvre. The 13th century saw the construction of the Knights Hall, a rectangular room decorated with nine beautiful windows in the Romanesque style; it can still be admired today. In the 14th and 15th centuries, the castle was gradually expanded and it began to lose its military significance, becoming more of a residential building. A barbican and outer enceinte were built in the 14th century and the Chapel of Saint-Ulrich was constructed in the 15th, next to the Knights Hall. The Ribeaupierre family left the castle in the 16th century; it was destroyed during the Thirty Years' War and fell into ruins. Today, the ruins impress visitors with their size and the variety of architectural styles: Gothic and Renaissance elements adjoin Romanesque characteristics; it is possible to climb the keep which offers great views of the surrounding area and the village of Ribeauville below.